IT is loftily amusing to the student of magical literature who is not quite a fool—and rare is such a combination!—to note the criticism directed by the Philistine against the citadel of his science. Truly, since our childhood has ingrained into us not only literal belief in the Bible, but also substantial belief in Alf Laylah wa Laylah,2 and only adolescence can cure us, we are only too liable, in the rush and energy of dawning manhood, to overturn roughly and rashly both these classics, to regard them both on the same level, as interesting documents from the standpoint of folk-lore and anthropology, and as nothing more. 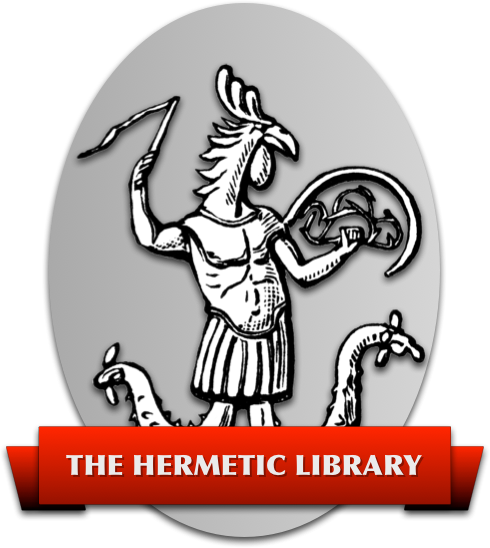 Even when we learn that the Bible, by profound and minute study of the text, may be forced to yield up Qabalistic arcana of cosmic scope and importance, we are too often slow to apply a similar restorative to the companion volume, even if we are the lucky holders of Burton’s veritable edition. To me, then, it remains to raise the Alf Laylah wa Laylah into its proper place once more. Now, this fact is our base. What is the cause of my illusion of seeing a spirit in the triangle of Art? English children are taught (pace the Education Act) that the Universe lies in infinite Space; Hindu children, in the Akaśa, which is the same thing. Those Europeans who go a little deeper learn from Fichte, that the phenomenal Universe is the creation of the Ego; Hindus, or Europeans studying under Hindu Gurus, are told, that by Akaśa is mean the Chitakaśa. The Chitakaśa is situated in the “Third Eye,” i.e., in the brain. By assuming higher dimensions of space, we can assimilate this face to Realism; but we have no need to take so much trouble. The circle, square, triangle, vessels, lamps, robes, implements, etc. The combination of all these and reflection on their significance. These unusual impressions (1-5) produce unusual brain-changes; hence their summary (6) is of unusual kind. Its projection back into the apparently phenomenal world is therefore unusual. Herein then consists the reality of the operations and effects of ceremonial magic,5 and I conceive that the apology is ample, so far as the “effects” refer only to those phenomena which appear to the magician himself, the appearance of the spirit, his conversation, possible shocks from imprudence, and so on, even to ecstasy on the one hand, and death or madness on the other. But can any of the effects described in this our book Goetia be obtained, and if so, can you give a rational explanation of the circumstances? Say you so? The spirits of the Goetia are portions of the human brain. Their seals therefore represent (Mr. Spencer’s projected cube) methods of stimulating or regulating those particular spots (through the eye). (a) General control of the brain. (Establishment of functions relative to the subtle world). (b) Control over the brain in detail. (Rank or type of the Spirit). The perfumes aid this through smell. Usually the perfume will only tend to control a large area; but there is an attribution of perfumes to letters of the alphabet enabling one, by a Qabalistic formula, to spell out the Spirit’s name. I need not enter into more particular discussion of these points; the intelligent reader can easily fill in what is lacking. And this is a purely materialistic rational statement; it is independent of any objective hierarchy at all. Philosophy has nothing to say; and Science can only suspend judgement, pending a proper and methodical investigation of the facts alleged. Unfortunately, we cannot stop there. Solomon promises us that we can (1) obtain information; (2) destroy our enemies; (3) understand the voices of nature; (4) obtain treasure; (5) heal diseases, etc. I have taken these five powers at random; considerations of space forbid me to explain all. (1) Brings up facts from sub-consciousness. (3) A careful naturalist will understand much from the voices of the animals he has studied long. Even a child knows the difference between a cat’s miauling and purring. The faculty may be greatly developed. (4) Business capacity may be stimulated. (5) Abnormal states of the body may be corrected, and the involved tissues brought back to tone, in obedience to currents started from the brain. So for all the other phenomena. There is no effect which is truly and necessarily miraculous. Our Ceremonial Magic fines down, then, to a series of minute, though of course empirical, physiological experiments, and whoso will carry them through intelligently need not fear the result. I have all the health, and treasure, and logic I need; I have no time to waste. “There is a lion in the way.” For me these practices are useless; but for the benefit of others less fortunate I give them to the world, together with this explanation of, and apology for, them. I trust that this explanation will enable many students who have hitherto, by a puerile objectivity in their view of the question, obtained no results, to succeed; that the apology may impress upon our scornful men of science that the study of the bacillus should give place to that of the baculum, the little to the great—how great one only realises when one identifies the wand with the Mahalingam,7 up which Brahma flew at the rate of 84,000 yojanas a second for 84,000 mahakalpas, down which Vishnu flew at the rate of 84,000 crores of yojanas a second for 84,000 crores of mahakalpas—yet neither reached an end. But I reach an end. There is no such reference! In the Second Conjuration, for I have corrected Mr. Waite’s careless blunder, there is a reference to Living Creatures; there is also a reference to the same beings in the Apocalypse. The Book of Chronicles refers to King Solomon (unknown date). Mr. Waite refers to King Solomon (1898). We will conclude by condoling with the author of the Book of Chronicles. 1 Introductory Essay. 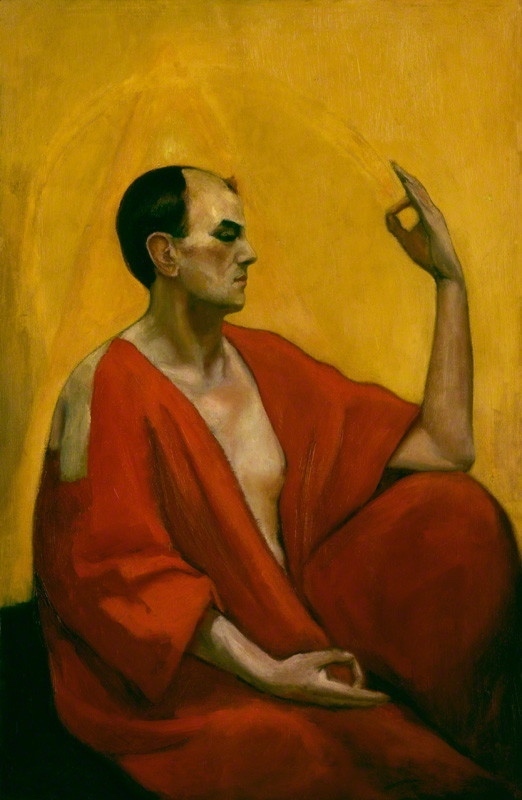 By Aleister Crowley. 3. This, incidentally, is perhaps the greatest argument we possess, pushed to its extreme, against the Advaitist theories. 4. Thought is a secretion of the brain (Weissman). Consciousness is a function of the brain (Huxley). 6. A poet of great ability. He edited a book called “Of Black Magic and of Pacts” in which he vilifies the same. all refer to the Sun. ∴ there is a common source in literature. Mr Waite’s fallacy is all very well, though, for people who have never kept Living Creatures, nor even made a fourth at Bridge.